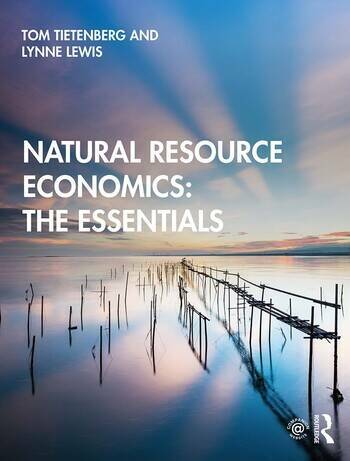 Natural Resource Economics: The Essentials offers a policy-oriented approach to the increasingly influential field of natural resource economics that is based upon a solid foundation of economic theory and empirical research. Students will not only leave the course with a firm understanding of natural resource economics, but they will also be exposed to a number of case studies showing how underlying economic principles provide the basis for specific natural resource policies. Including current data and research studies, this key text also highlights what insights can be derived from the actual experience. Extensive coverage of the major issues including energy, recyclable resources, water policy, land conservation and management, forests, fisheries, other ecosystems, and sustainable development. Introductions to the theory and method of natural resource economics including externalities, experimental and behavioral economics, benefit-cost analysis, and methods for valuing the services provided by the environment. Boxed ‘Examples’ and ‘Debates’ throughout the text which highlight global examples and major points for deeper discussions.